How did the portfolio perform in 1Q18? The portfolio in the first quarter really gave back a a lot of performance on the industrial manufacturing side and on the energy side as well. 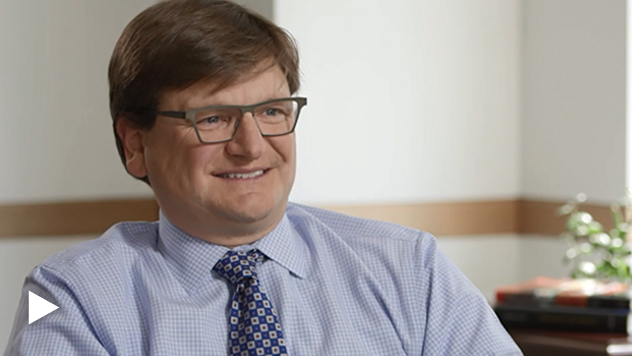 With the industrials, I think there was a bit of a hangover from last year’s success—you had a lot of momentum going in to the end of the year. A lot of the end markets were very, very strong, so as the feeling that rates would move up crept into the market, it made people nervous—a fair amount of these companies have some substantial debt. Throw that on top of the growth fears that come after interest rate fears and you get a pull back. And again, we’re in a part of the market where liquidity isn’t great, so it doesn’t take a lot to get things rolling backward. We think that’ll reverse—we think especially if GDP continues to perform better than expected. And I wouldn’t be surprised if these were names that really led the charge next quarter. We do what we always do. We try to take advantage of that volatility. Admittedly we’ve had two very, very good years in a row. So it is more difficult I think to make money now. You’ve really got to find those things that either are going to surprise a lot of people with their ability to earn money after going through a difficult time, right, a tough turnaround, or really grow better than, than expectations are. But it’ll definitely be from a smaller amount of names as, as a lot of the expectations are priced into a lot of stocks now. What sectors and industries are you focusing on? Technology, not surprisingly, worked very well in the quarter and continued, I think, on the back of the large-cap names that really have been driving the entire market. We continue to think that there will be a tremendous amount of volume in semis and all sorts of devices. And pricing remains pretty strong. There is a concern that, again, we’re at the end of a cycle, but we think there’s clearly more to go here. Some other things that we think will continue to work are going to be some infrastructure plays. We think aerospace, defense, will continue to work pretty well. And many of the things that were weak in the first quarter, especially relating to energy, we think should have a strong comeback as well. The housing sector continues to be one, I think, that frustrates a lot of people in the market. It is one where you just don’t have enough product and like many other industries that go through massive, massive change, or consolidation, housing has taken incredibly long to get back and get back normalized. So the stocks are very, very reasonable as far as pricing goes. And the outlook, especially with strong employment, should be pretty good. You get into this argument with interest rates whether or not you’re going to have a cycle that stops dead. And we don’t think it’s gonna happen. So we’ve actually added some housing names. Financials have been a place that we continue to look for more names in especially in places down south and in some of the population centers that are growing the fastest. And we’ve had some good fortune there. And in retail always looking for those specialty retailers that could grab their glory again, if you will, right? Get margins back to where they used to be and really produce some earnings in a relatively short amount of time. How have mega-cap tech names affected small-cap tech? The mega-caps spending is tremendous. Amazon, Google, Facebook, Tencent, Alibaba, take massive storage, and that’s really helped many of our component companies. There’s a shortage globally of capacitors. Memory pricing has been better than expected for a while now, so they’re really doing what we had hoped, which is keep a really long, sustained rally going, and really letting us not only benefit from better earnings, but also from some pretty good consolidation in the small-cap area as well. The thoughts and opinions expressed in the video are solely those of the persons speaking as of April 9, 2018 and may differ from those of other Royce investment professionals, or the firm as a whole. There can be no assurance with regard to future market movements. Frank Russell Company (“Russell”) is the source and owner of the trademarks, service marks and copyrights related to the Russell Indexes. Russell® is a trademark of Frank Russell Company. Neither Russell nor its licensors accept any liability for any errors or omissions in the Russell Indexes and / or Russell ratings or underlying data and no party may rely on any Russell Indexes and / or Russell ratings and / or underlying data contained in this communication. No further distribution of Russell Data is permitted without Russell’s express written consent. Russell does not promote, sponsor or endorse the content of this communication. The Russell 2000 is an unmanaged, capitalization-weighted index of domestic small-cap stocks. It measures the performance of the 2,000 smallest publicly traded U.S. companies in the Russell 3000 index. 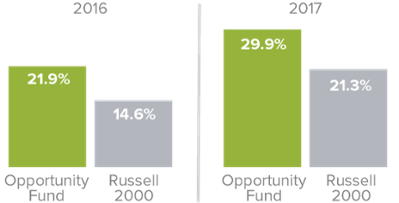 The Russell 2000 Value and Growth indices consist of the respective value and growth stocks within the Russell 2000 as determined by Russell Investments. The performance of an index does not represent exactly any particular investment, as you cannot invest directly in an index. This material is not authorized for distribution unless preceded or accompanied by a current prospectus. Please read the prospectus carefully before investing or sending money. The Fund invests primarily in small-cap and micro-cap stocks, which may involve considerably more risk than investing in larger-cap stocks. (Please see "Primary Risks for Fund Investors" in the prospectus .) The Fund’s broadly diversified portfolio does not ensure a profit or guarantee against loss.